Vail, Beaver Creek, Keystone, Breckenridge Snow Conditions Toolbar! 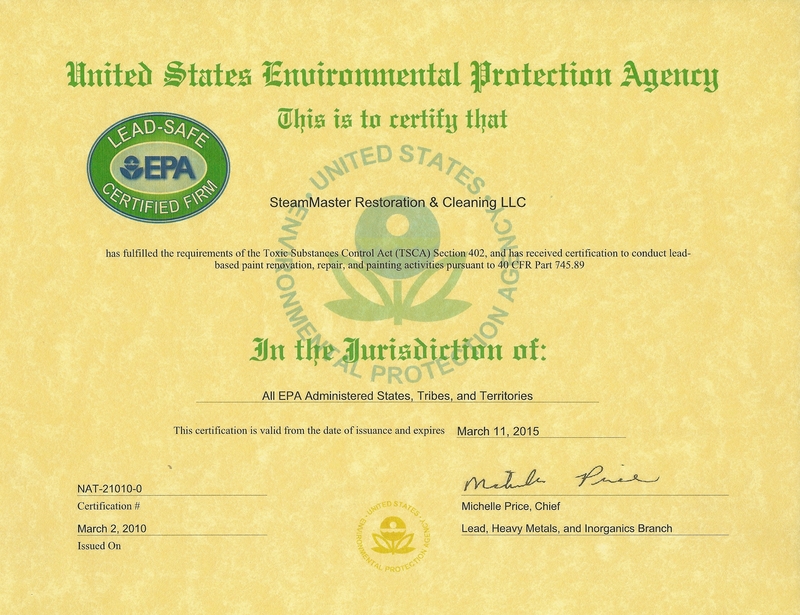 SteamMaster is now a Lead Safe Certified Firm in all EPA States, Tribes and Territories. Colorado’s winter weather generally supplies the snow and cold. 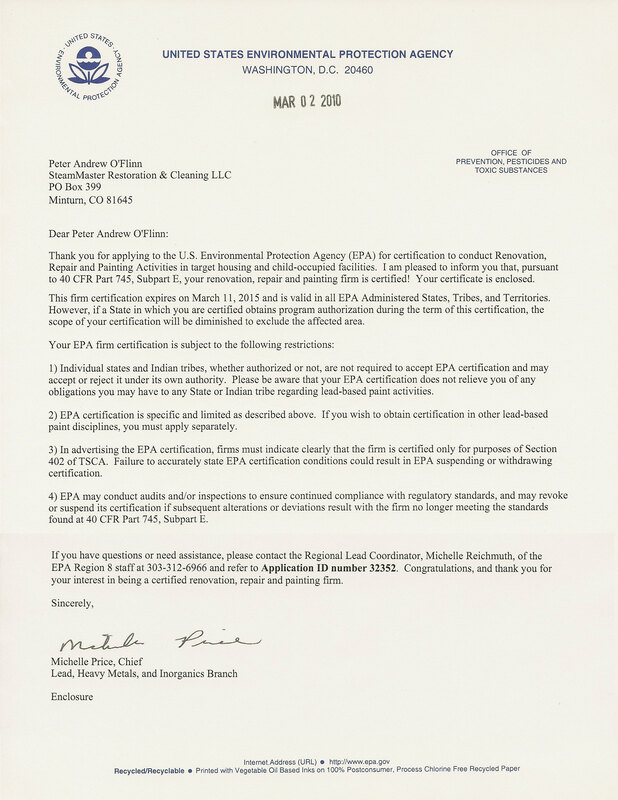 This is especially so in Vail, Aspen, Breckenridge and the surrounding mountain communities. As little as one or two inches of snow accumulation on a roof, followed by sub-freezing temperatures, are the outdoor conditions that allow ice dams to form. The heat to melt the snow comes from warm air inside the house or apartment building leaking into the attic and warming the roof. The melting snow runs down the roof until it reaches the cold roof edge, where it refreezes. 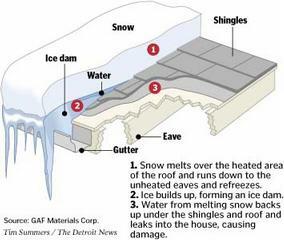 Ice builds up along the eaves, forming a dam that can force water back up under the shingles and even into the ceiling or wall inside the house. Water-stained ceilings and walls, peeling paint and damaged plaster, damaged shingles and sagging gutters are the results. How does warm air get into the cold attic? Inadequate or incomplete insulation in the attic is an obvious reason why an attic may not be cold. However, even if the attic is adequately insulated, warm air leaking through hidden pathways can cut the effectiveness of the insulation by 30 percent to 70 percent. Warm air finds many pathways leading from the heated space into the attic. These pathways are called attic bypasses. Fiberglass or cellulose insulation slows air movement, but they don’t stop it. Anything that penetrates the attic is a potential pathway. To identify energy saving opportunities, or for more information, call or visit http://www.energystar.gov/homeimprovement The Environmental Protection Agency offers a variety of tips and analysis tools that will help you increase your home’s energy efficiency. The use of a desiccant dehumidifier is more effective and non-invasive in removing moisture from water damaged structures. Wood floors and building structures can be dried safely without additional damage and significantly reduce the chances of mold, musty odors or buckled hardwood. 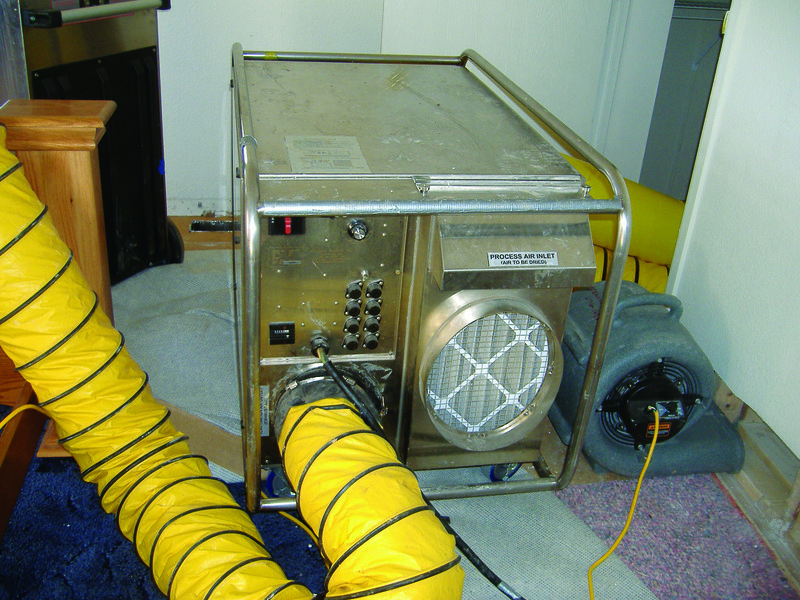 Desiccant dehumidifiers pump dry air into a water damaged area, such as a crawl space, to displace the moisture from structural materials. These dehumidifiers work by directing incoming moist air over a wheel filled with a silica gel desiccant. The desiccant material attracts and holds the moisture like a sponge. When the wheel rotates through heated exhaust air, the moisture evaporates and is carried outside. Then the cycle repeats. The desiccant dehumidification process is effective even in colder temperatures where refrigerant dehumidification begins to fail. A desiccant usually produces air with a relative humidity in the range of 4% – 8%. SteamMaster Restoration & Cleaning in Vail Colorado uses several types of drying equipment including a 250K TES, 250K DryAir – Thaw, Heat and Dry System, Dehumidifiers, Drying Fans as well as Desiccant Dehumidifiers.